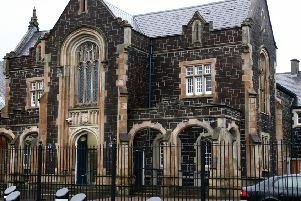 Police have seized stun guns, knuckle dusters and other prohibited weapons following an incident in Larne last night. Officers attended an address in the Co Antrim town following a report that a person had used a stun gun on another person. On the PSNI Larne Facebook page, police said a male was arrested for firearms and prohibited weapon possession. The statement added: “Sgt Allen was thrilled to have these items removed from the streets and has appealed to members of the public to resist the temptation to order stun gun devices and other prohibited items over the internet. “You do not know what you are buying.